Having a rat in the home can cause serious problems. If you’ve seen or even suspect that you have a rat in the home, call Attic Kings immediately. We’ll do a thorough inspection and begin the removal and exclusion process right away. Rats can enter the house through roof lines, water pipes, gas pipes, holes leading to the basement, air vent and ducts, holes in the attic—pretty much anywhere there’s an opening. 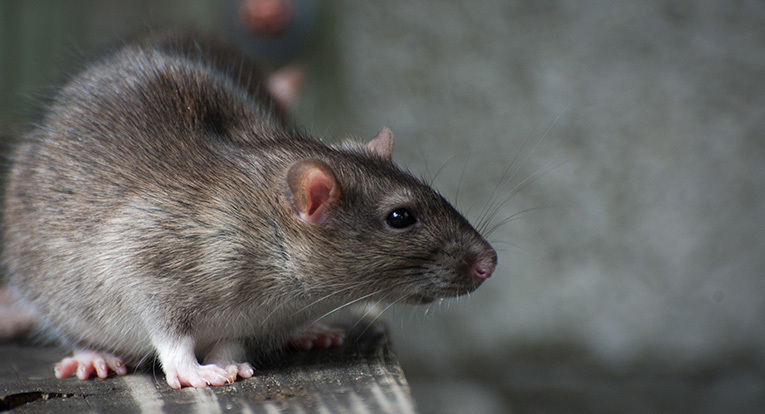 Once they’re in, rats can quickly travel throughout the home. It is important to have them removed as soon as possible. Evidence of rats is often found near the hot water heater and furnace since they serve as a hub for pipes and air ducts. They often build nests in the walls, crawl spaces, and attic to keep warm and give birth. A rat can have 6-12 offspring at a time, and a typical female will have 4-6 litters a year. We start the removal process by inspecting the entire house. With our inspection, we should be able to locate where the rats are living as well as where they are coming in. Once these locations have been noted, we will install one-way exit tunnels in the area that will prevent the rats from reentering the house once they’ve left. We will animal proof any holes or cracks that could be used as an entryway. Our execution techniques are sure to keep animals out and your family safe. We do not use poisons as part of our removal process. Using poisons can cause health hazards to your pets and family, and aren’t as effective as our exit tunnels. Plus poisons could cause the rats to die inside the home, leaving you with even more problems.